So with the FAD’s firing up and heaps of Southern blue fin tuna showing up what better way to get into the action with these amazing Ashram Skirts from Richter Lures who are known for their quality products. We have them in UV/Pink and UV/Blue and colour 46 and to make it sound even better we are doing them at less 30% that’s right less 30%. So come on down and get yourself a few of these bad boys. Oceanside Team - Specializing in Jigging for demersal, Super Deep Fishing and Cockburn Sound Pink Snapper. The weekly special this week is regarding the Gillies Baby Poppers. 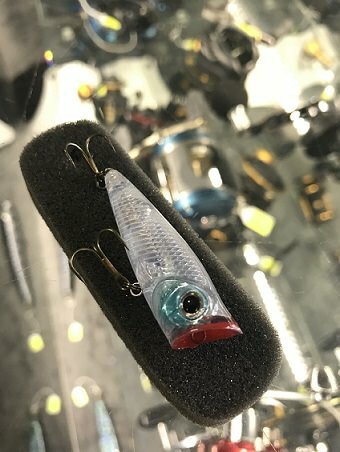 These little poppers are awesome for a range of species including herring and yellowfin whiting, in the popular clear colour that seems to be killer when it comes to yellowfin whiting. These poppers are normally $9.95each, but for this week only, we are dropping 50% OFF THAT PRICE! So until Sunday you can pick up the Gillies poppers for just $4.95! 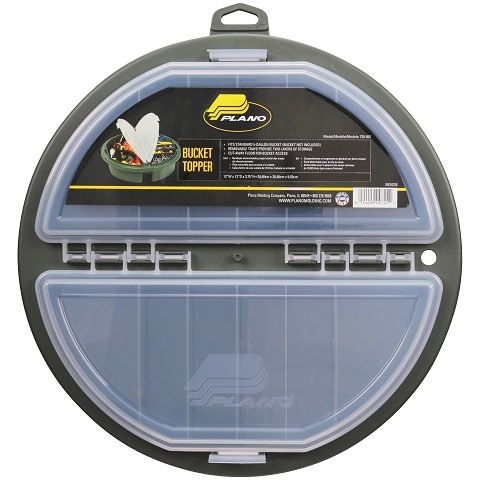 Plano Bucket Toppers are 40% OFF! For this week only pick up one of these bucket topper tackle boxes for just $20.95. Come through the shop by Sunday latest to grab one of these Plano Bucket Toppers at this low price! Thanks to those who have made the most of these great deals, we do have some of this ridiculously cheap gear left so make the most of the savings before Sunday! Cheers from the Oceanside Team. 11/0 chemically sharpened tarpon hooks. These hooks are very strong and 4 hooks per pack. 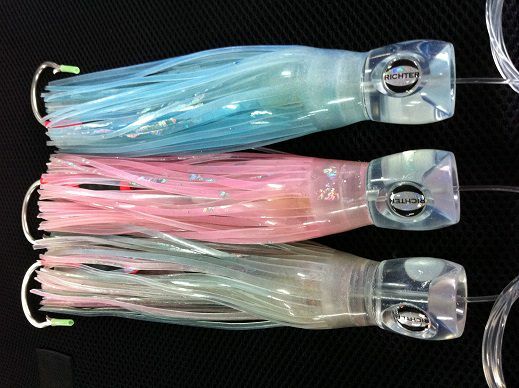 Richter Oscar Junior “Fully Rigged” Skirted lures in UV Pink, UV Blue or UV Blue/Pink. 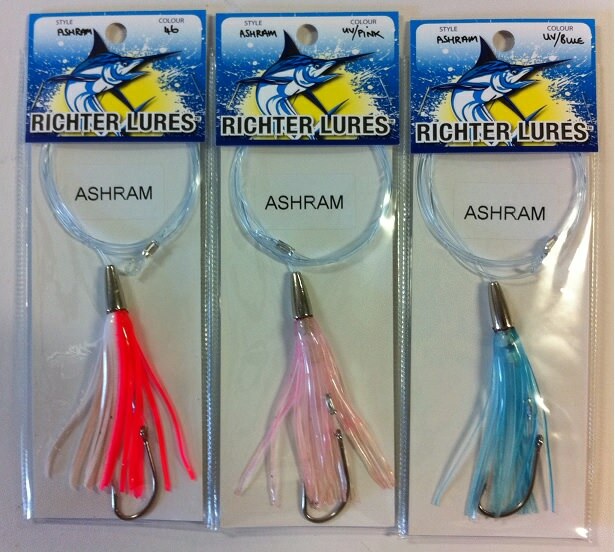 Richter Soft Oscar “Fully Rigged” Skirted lures in UV Pink, UV Blue/Pink or Dorado. 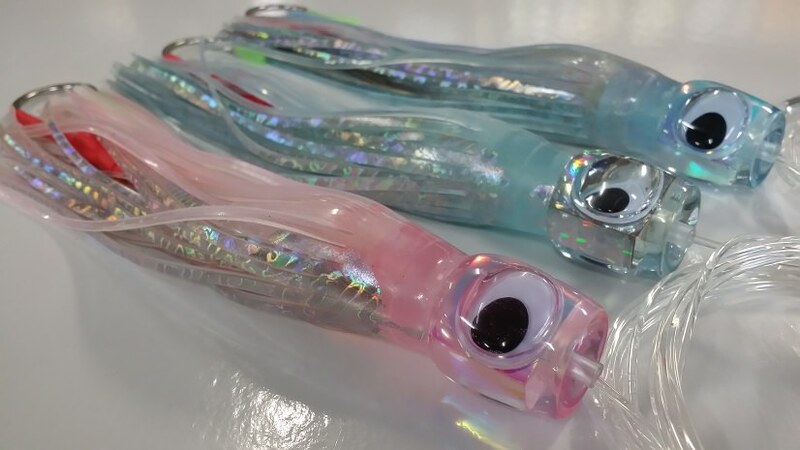 Richter Soft Oscar XL “Fully Rigged” Skirted lures in UV Pink, UV Aurora, Dorado, 426/Lumo. UV lures standout in the water to billfish in particular and are a must to have in your spread. 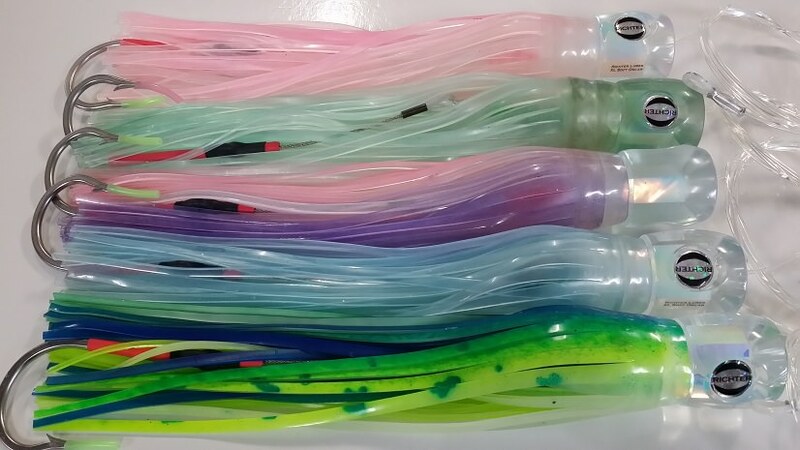 All these lures have been “Fully Rigged” by Mark Richter himself using only the best components. Finishes Sunday 10th June and Open 7 Days. Do you still have these skirts on sale? Hi Rodrat, the Richter Skirt Weekly Special has finished but we can still honour it this week. If you have any more questions send us a message. For all the demersal jiggers you will like this! (1) The 3rd one FREE must be equal dollar value to what you have been buying. (2) You must buy 2 of the same brand and not mix "n" match.